So the big "Question Of The Day" was: Should I attempt 15 miles this weekend or should I stick with the 10 miles that I'm scheduled to run? (since technically this is supposed to be a taper week). Is it still considered a taper week if you're not tapering from a long mileage run? The last really long run I did was when I got injured (20 miles on August 2nd). Since then I've run 10 miles once (or was it twice?) but it has been almost two weeks since my last 10 mile run. And I only have two weeks (pretty much) until Chicago, i.e. only two more LR opportunities. I was talking to one of my best friends today and got the "don't do anything that will put you at risk for another injury" lecture. But I was battling between the logic of that and the underlying fear that if I don't attempt a longer distance my legs won't be ready for 26.2 miles in 2 weeks. So I did some more research and came across THIS POST that challenges the "mandatory 20 miler" claim for marathon training. The article AND the comments provide an interesting perspective and actually made me feel better about not being able to get another 20 miler (or anything close to that) done recently. It is important to note that the post does mention running up to 3 hours (which on a good day would probably take me to 15 miles). That being said I'm not sure there is much benefit to doing that 2 weeks before my race (in light of how limited my training has been recently). 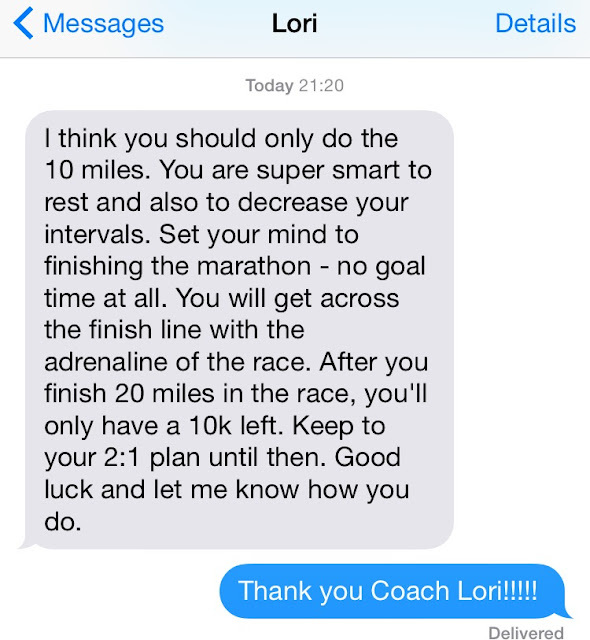 (the "super smart" comment sold me on the advice ;) Although I can't take full credit for it since my best friend was the one who initially told me to stick with the 10 mile run as planned). 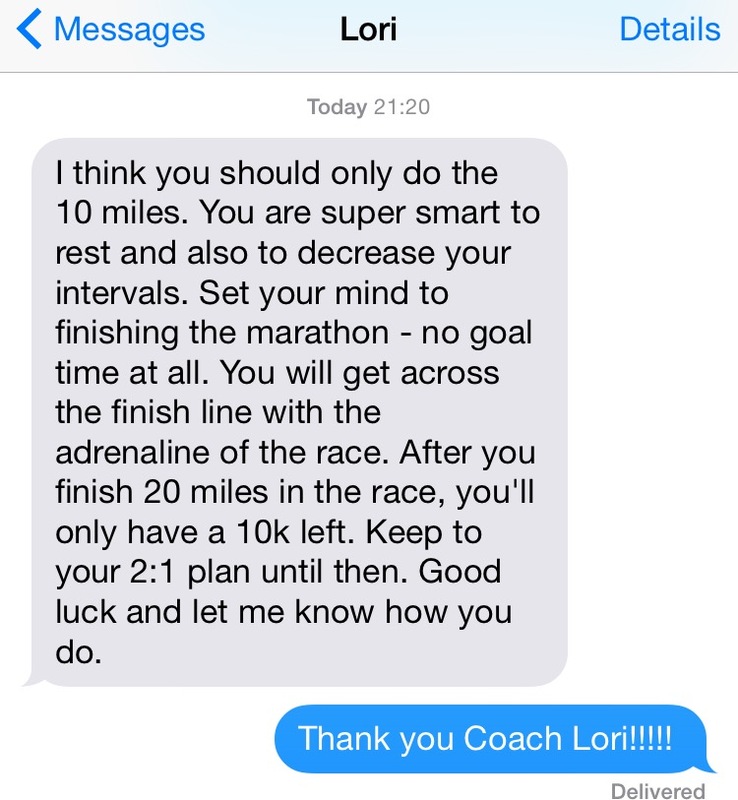 What is your maximum long run distance for your half/full marathon training? Do you run for time or for distance when you do your long runs? What is your favorite memory from your first half/full marathon? Congrats on getting the ok to race! 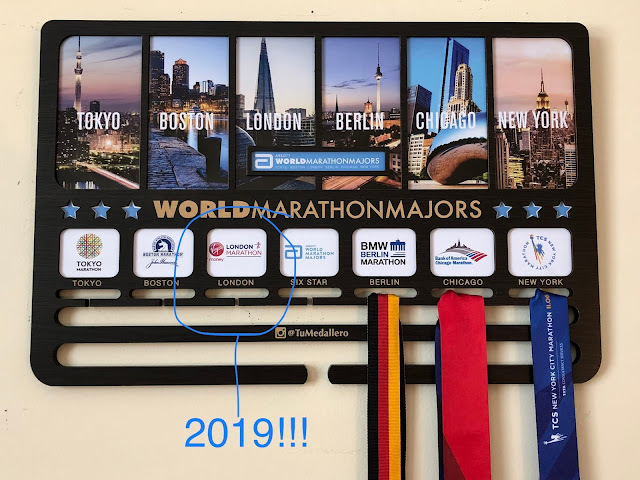 I'll be running the Steamtown Marathon in Pennsylvania on the same day as Chicago. The current plan is for the Disney W&D (probably walking that one) and the Reggae half in Jamaica (Dec). I may do some 5Ks and 10Ks but I really need to rest my legs so I don't think I'm registering for more than that. I plan to volunteer at some races though. What's on your race calendar for the Fall season? Yes, I'd recommend tapering and sticking with the original plan. I don't think you will benefit from a longer run at this stage. In fact, you'll probably feel a lot better with a bit of a rest. I try to do a few runs over 13 miles for half marathon training, but they are a lot easier to recover from.